One of the aspects that Josef has emphasized throughout the reveal and subsequent showings of the game has been that the focus is on the cooperative gameplay and the story players will make as they play. The decisions you'll face as you play with a buddy (either on the couch or online) and they way you come to those decisions will shape and form your experience. While some of the action looks to be akin to "co-op doors," i.e., both players need to get to this one spot and hold a button to progress, the action itself appears to be a means to develop the relationships between the characters (and, in a way, the players). In other words, it's not always important what you're doing, but the fact that you're doing it with someone. Based on what Fares says during this video, it sounds like the game will take between 6 and 8 hours to complete, so you should be able to play it through multiple times with a few different friends and have some different experiences each time you do. 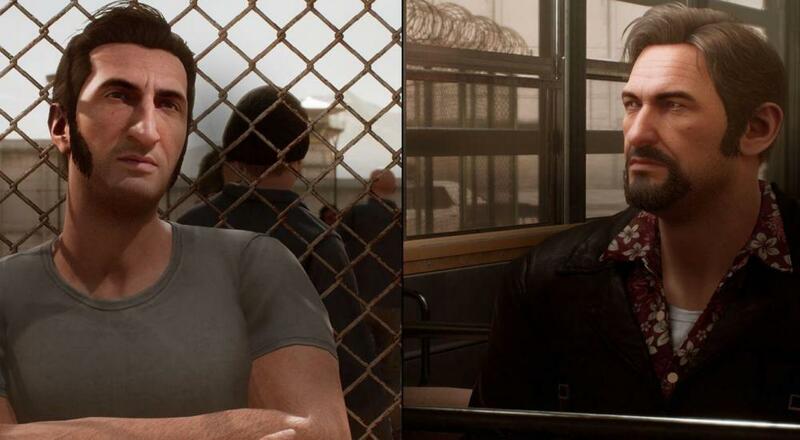 A Way Out is out this Friday, March 23 on PC, PlayStation 4, and Xbox One. Two player online or couch co-op is available (and required) throughout the campaign. Thanks to the free friend pass, you can team up with a buddy that doesn't own the game and play through it in its entirety. Page created in 0.7955 seconds.